Many Americans start their day with a warm, delicious muffin. America has their own unique style of muffin. You can find them on almost every street corner, in all sorts of different flavors, and oh so tempting. I have to admit, I have a weakness for these warm, soft, bread-like treats. Here is a muffin recipe that promises the same delicious taste, yet are totally cholesterol free. A great way to add some comfort to your day. 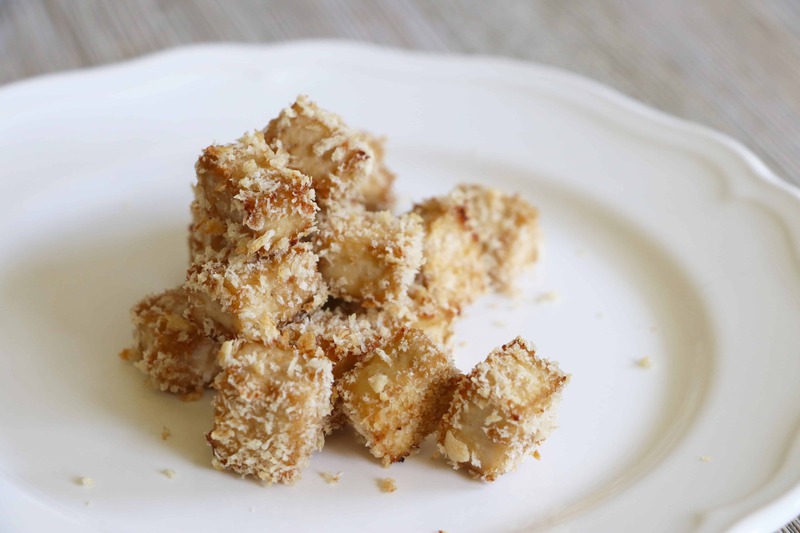 For streusel: In a small bowl mix together the chopped almonds, sugar, almond flour, coconut oil, maple syrup, and cinnamon. Set aside. For muffins: In a large bowl mix together the almond flour, whole wheat flour, all purpose flour, baking powder, cinnamon, salt, and ground ginger. In a separate bowl mix together the sugar, almond milk, apple sauce, coconut oil, and vanilla. 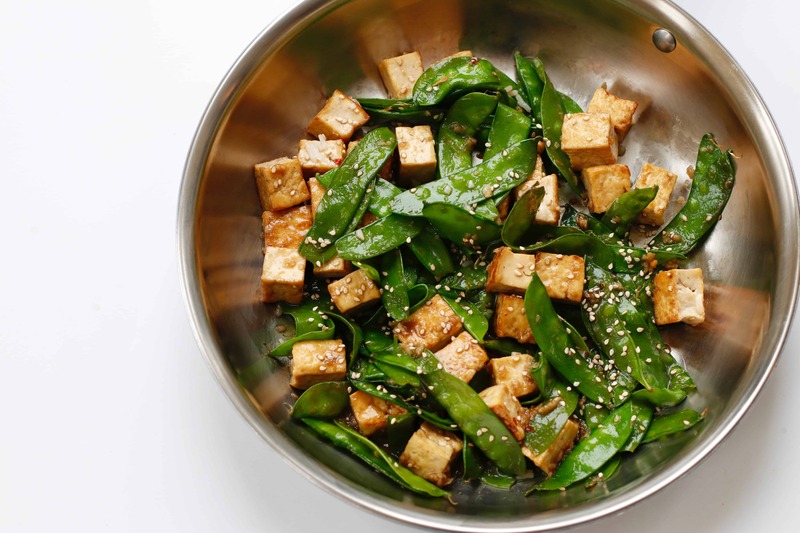 Pour the wet ingredients into the dry ingredients and mix until just barely combined. Then gently fold in the chopped apple. Divide the muffin batter evenly into your muffin tins. Top with the streusel and gently pat the streusel on to the muffin mixture (this will help it stick better). Bake for 18-20 minutes or until toothpick comes out clean or with a couple of crumbs clinging to it. 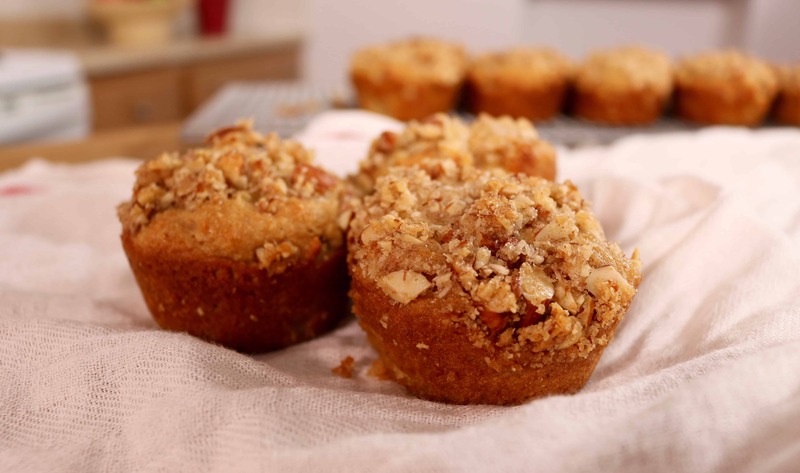 9 Replies to "Apple Almond Streusel Muffins"
This is great, Stefanie! So happy to hear that you made them your own! Oh, btw, they were fantabulous, and guess what?!? I’m making a double batch again right now!!! I am so glad you liked them, Stefanie! Thank you so much for your fantabulous comment! Can you share the amount of coconut oil? I don’t see a type of measurement. Is it 1/4 cup or teaspoon or tablespoon? Good observation, Rachel! It is 1/4 cup coconut oil. I changed it on the recipe. I made your muffins for breakfast. They are a huge hit. I don’t have fresh apples, so i diced up homeade apple pie filling. The apple pie filling sounds like it would make amazing muffins! I am so happy to hear that you enjoyed the recipe! Thank you so much for your comment!